The Euro-Atlantic security architecture has come undone. The situation today is more dangerous than it has ever been since the end of the Cold War. Fresh efforts to revive talks on arms control are urgently needed to rebuild trust. “It would be wonderful if we had good relationships with Russia so that we don’t have to go through all of the drama,” then-candidate Donald Trump said in July. In principle, many Europeans would agree – but with some important caveats: as desirable as a new joint US-Russian effort at detente may be, it must not come at the expense of NATO allies and other US partners in Europe, including Ukraine and Georgia. Still, better relations are highly desirable. The conflicts in Ukraine and Syria will only be resolved if Washington and Moscow manage to see eye to eye, at least on the basics. How to make progress on these conflicts will play a role on any future US-Russian agenda. But there is an additional, less obvious issue that should also have a prominent place on the agenda: conventional and nuclear arms control. The Euro-Atlantic security architecture, its arms control components included, has been slowly unravelling. During the last few years, serious Euro-Atlantic tensions and mutual mistrust have surged. Risks of miscalculation and military accidents, and thus escalation, have become unacceptably high. 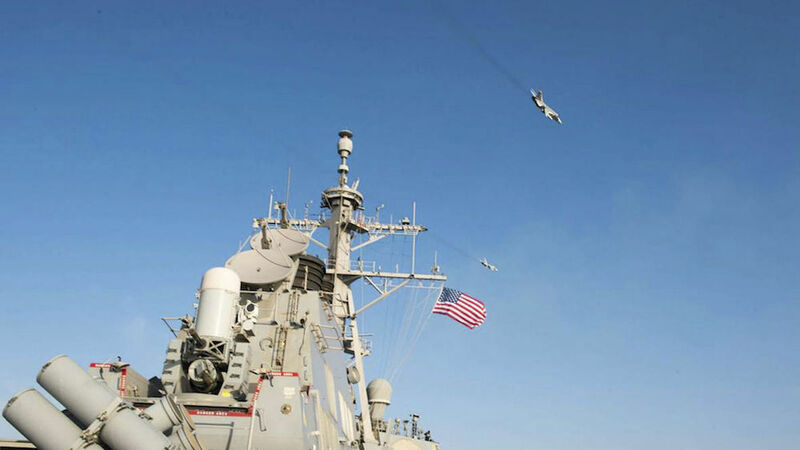 From the skies over Syria and northeastern Europe to the waters of the Atlantic Ocean, Western and Russian ships and airplanes operate in tight quarters, and there have already been a number of close calls. All it takes for a full-blown crisis to materialize is one wrong push of a button, one airplane shot down. Rhetoric would escalate quickly, exacerbated by poor or non-existent crisis communication, and national security decision-making would be put under enormous pressure. Such a crisis could even make the risk of escalation to the nuclear level – unthinkable, we used to believe – something to reckon with. In addition to these short-term military risks, important arms control agreements – including the Intermediate-Range Nuclear Forces (INF) Treaty – may be falling apart. After the earlier US decision to abandon the Anti-Ballistic Missile Treaty (ABM) treaty, and with serious disagreements over missile defense, such trends are extremely worrisome. So what steps should be taken, considering the current climate? First, irresponsible nuclear rhetoric needs to be curbed. Bandying about the possibility of deploying nukes is reckless, nothing else. Second, in addition to renewed political dialogue, it is essential for military-to-military contacts to resume on all levels. This should include exchanges on doctrine and strategy. The NATO-Russia Council, for example, has been reconvened and could offer significant additional opportunities for a far deeper exchange. Third, immediate steps should be taken to prevent accidents and confrontations involving aircraft or naval vessels. As work by the Nuclear Threat Initiative shows, requiring all military aircraft to fly with transponders turned on and establishing a distance limitation on US and Russian aircraft and ships in international airspace and waters would make a significant difference. Such steps could also serve as useful confidence and security building measures in the current climate of mutual mistrust. Fourth, there is an urgent need to strengthen and update existing multilateral agreements. Russia suspended implementation of the Treaty on Conventional Armed Forces in Europe (CFE) treaty in 2007. More recently, questions have arisen regarding the effective application of the Open Skies Treaty and the Vienna Document – regimes that increase transparency in military capabilities and exercises conducted in the Euro-Atlantic space. The Russian government could, for example, send a clear signal by committing to the resolution of compliance issues and engaging in the current modernization process of the Vienna Document – and lowering the notification and observation thresholds for military exercises in particular would go a long way. Fifth, we should relaunch a broader dialogue on ways to improve arms control, with the Organization of Security and Co-operation in Europe (OSCE) as a key forum. Such a dialogue might include discussions of regional ceilings, minimum distances, new weapons systems (drones, for example) and better verification. We need to make arms control fit for the future. To promote such ideas, a group of like-minded countries from the Euro-Atlantic area has come together to initiate a structured dialogue on conventional arms control. Hopefully others, including the US, will join. Critics or skeptics will find many reasons to disagree with an arms control initiative. Aren’t there far more pressing priorities, they will ask. It would not lead to meaningful results in the current climate, they will argue, and Moscow could not be trusted to honor new agreements anyway as they are violating existing ones. It would wrongly reward bad Russian behavior with offers of renewed cooperation, they will say, and argue that the Russian government would just drag its feet while pretending to cooperate constructively for the sake of influencing Western public opinion. These arguments are not unreasonable, but they still miss the point. In the Cold War, would we have gotten anywhere on such a basis? It’s important to remember that even during the worst period of the Cold War, political and military leaders from NATO and the Warsaw Pact actively discussed and agreed on proposals to promote security, stability, and arms reductions. Moreover, reviving the arms control debate would not relieve any party of its responsibilities to honor and implement existing agreements, including Russia. But the US and Europe should not conclude that this isn’t the right time for new initiatives. Arms control has never been a fair-weather instrument; it has always been at the core of Euro-Atlantic security. Given the current level of uncertainties and risks, it is high time to revive a proven security-building instrument.